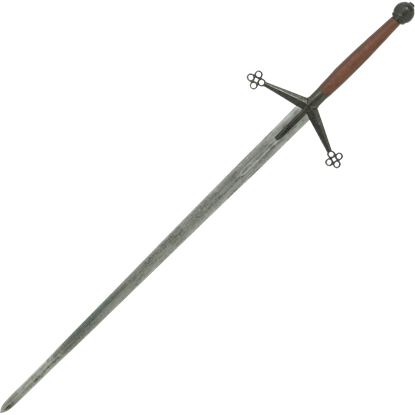 The claymore sword is one of the most recognized swords in history. 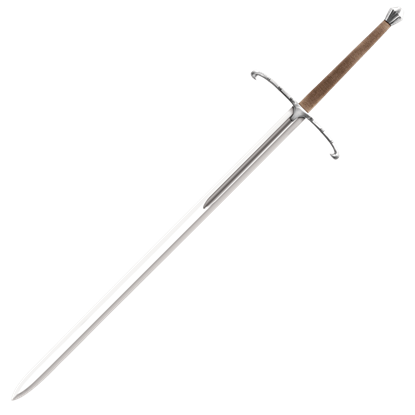 Claymore is a term derived from the Gaelic claidheamohmor, meaning "great sword." 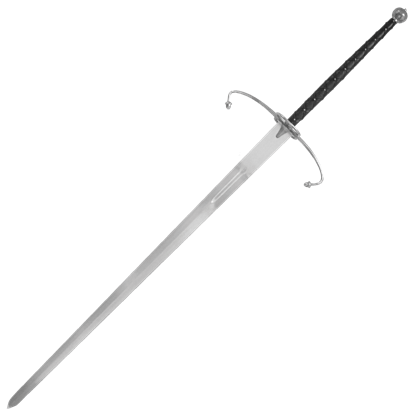 Claymore was first used to describe the large cross-hilted broadsword used in the Scottish Highlands and by Scottish mercenaries in Ireland from the late 15th to early 17 century. 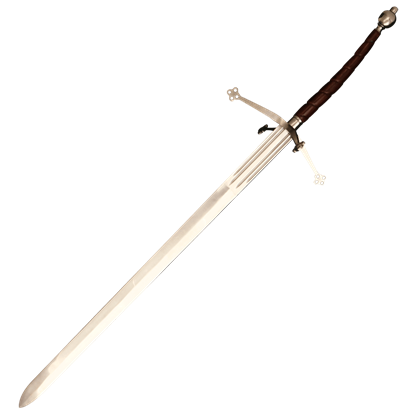 Several Scottish literary references indicate that the term "claymore" was applied by Gaelic speakers in the Highlands to both the old-fashioned, two-handed sword and the characteristic Scottish basket-hilted sword of the early 18th century. 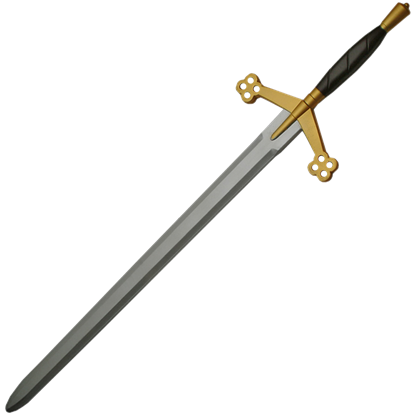 The average claymore sword length is about 55inches. Being since the sword was so huge, the swordsman need no shield which gave the impression and symbol of pride and strength. The claymore was a favorite weapon of the Highlanders of Scotland because it gave a fearsome presence on the battlefield. Our Claymore swords can be used for display or for battle re-enactments, each reproduction is created to the specifications of the original. The dimensions and weight are accurate on every piece so you get a medieval weapon that is actually balanced and fun to hold instead of just pretty to look at. Medieval times were sometimes brutal, sometimes romantic, but always a source of intrigue. 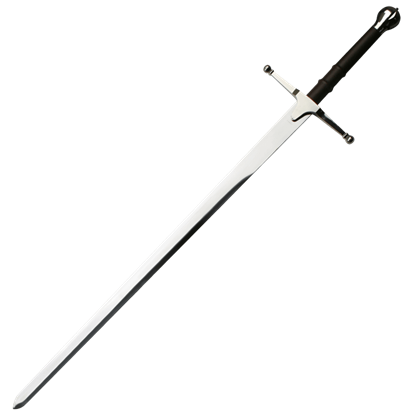 We invite you to share in the experience of an era past with our collection of Claymore swords. 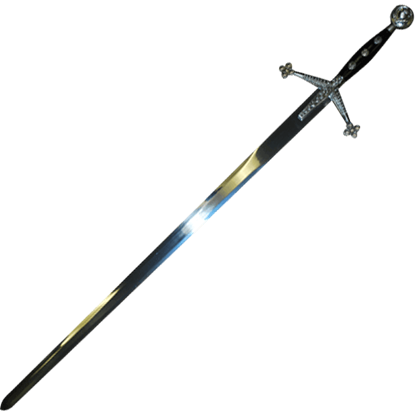 All our Claymore Swords are expertly hand-crafted and authentic replicas! You can display them in your office, home or for Medieval Reenactments. 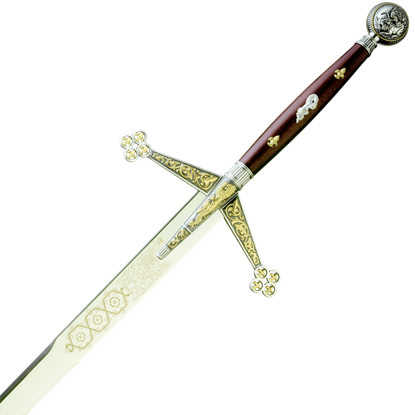 The Decorative Scottish Claymore Sword is modeled after the historic swords of 15th century Scotland. This stainless steel replica blade features an ornate hilt with quatrefoil quillions and a round, thistle decorated pommel. Known throughout history, William Wallace became the most valiant freedom fighter Scotland has ever seen. 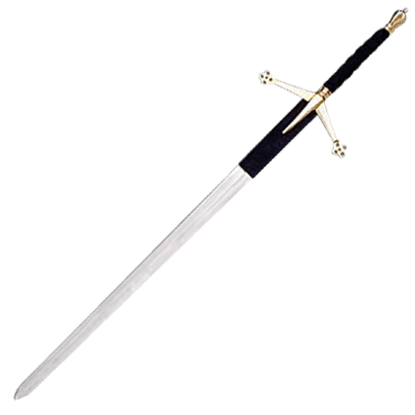 The Freedom Fighter Early Scottish Claymore is a magnificent two-handed early Scottish sword appropriately named for its valor. Finally, a real Claymore for all those modern Scots who long to possess a functional and battle ready Highland sword! Through history, tales have been told of mighty Scotsmen, hearty and ready to stand against seemingly unbeatable odds. This massive Lowland Claymore is like one held by the Bruce clan, which they assert belonged to Robert the Bruce himself. It is certainly the correct type for that age when knights wore mail, barrel helms, and small pieces of plate. Wielded with ferocity on many a Gaelic battlefield, the massive Lowlander sword illustrates the might of the Scots. Known as Slaughter-Swords in the 16th century, these were the swords of choice for Scottish mercenaries of the period. Great for sparring or using as a safe prop for cosplay, the Renaissance fair, or any other costuming event, this Polypropylene Practice Claymore has the look and approximate size of the real thing without a sharp, metal blade. It has been said that the best defense is a good offense, but what if you could have the best of both worlds? This Quad Quillon Claymore merges the offense of a two-hander with a distinctive guard that protects in four directions! 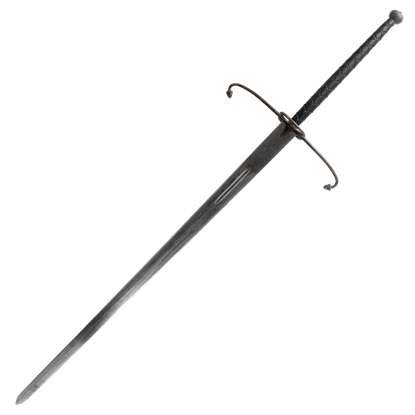 Some swords are designed to inspire fear and terror. Beyond the cosmetics of a terrifying weapon, some blades just inspire fear based on what they can do. The Scottish Claymore is one of these weapons, devastating in its simplicity. 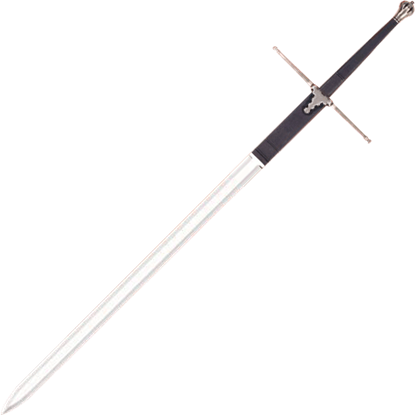 The Scottish Claymore, by Marto, is a replica of the typical weapon of the Highland Warriors during the late Middle Ages. 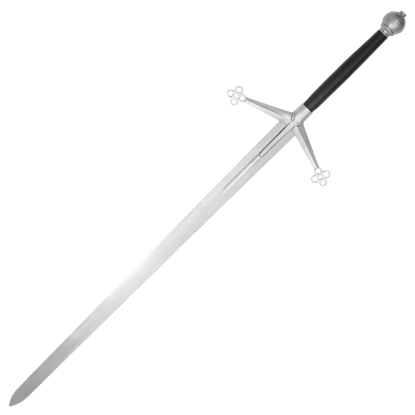 Considered more a rough tool then a weapon, this sword is no-less deadly or effective when wielded properly.